Million Hoodies is tapping into its network to challenge the defining issue of our time: inequality. Following the tradition of our Safety Beyond Policing campaign in New York City, Million Hoodies works on the issue of inequality and reimagining community safety. We believe that we need to convey a more expansive vision about safety and justice that reflects the lived experiences of communities that have been historically disinvested in. The Safety Beyond Policing campaign comprised of New Yorkers who do not want New York City to invest in hiring more police officers. Safer and healthier neighborhoods are strengthened by addressing poverty. This can only happen by truly investing into these communities--not throwing cops at the problem. The campaign is made up of a coalition of community groups across New York City, co-created by Million Hoodies and our local partners, formed in opposition to Commissioner Bratton's proposal to add 1,000 additional officers to the NYPD (which is already the seventh largest standing army in the world). 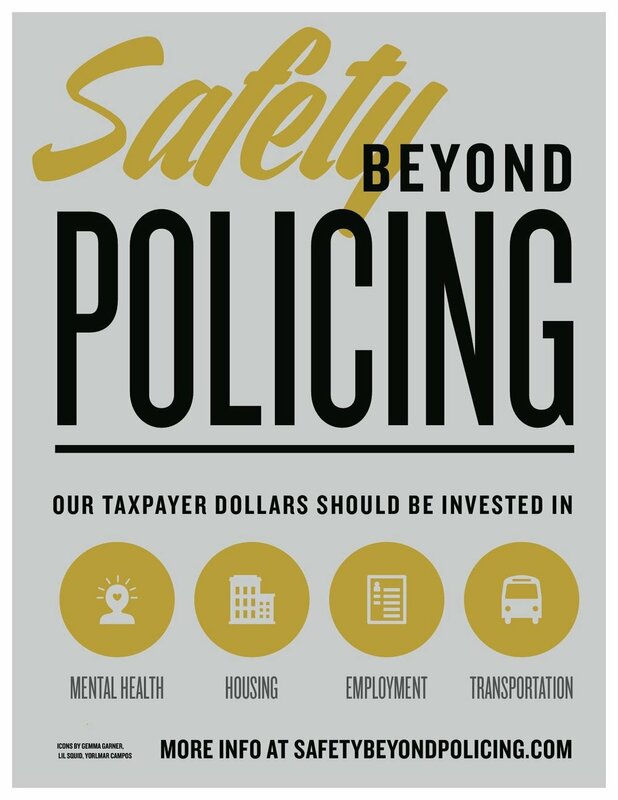 Safety Beyond Policing has proposed a series of alternative ways to use the nearly $100 million requested in 2016 to hire and train the additional officers. These alternatives are evidence-based solutions to crime, which strengthen not imprison communities. They include investments in mental health services, transportation, NYCHA housing and work opportunities for youth. Imagine -- instead of 1,000 new NYPD officers New York City could provide summer jobs to over 300,000 youth. #NoNewNYPD: What Exactly Does That Mean?, The Janelle Show!